Last week I went over to a friends house for coffee. As usually happens when two single women get together, the conversation eventually turned to men. You’d think at this point in our lives we could manage a conversation without talking about them, but no. Long story short, we don’t get them. You go out on a date (well she does, I think 95% of the population is un-datable), things go really well, and then a week goes by and he hasn’t called for a second date. Why? What happened? 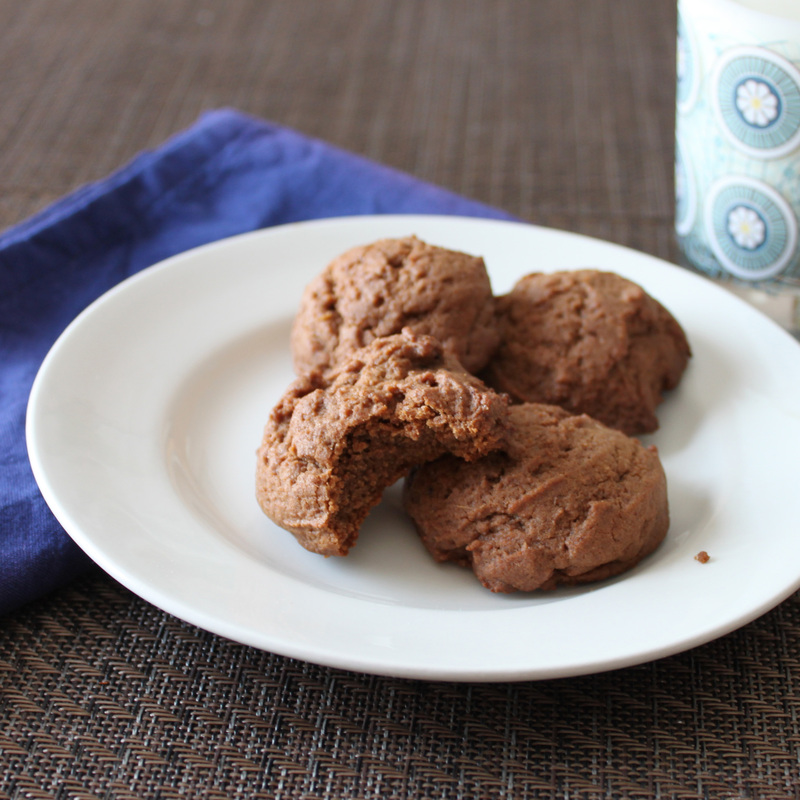 We pondered the possibilities while eating these Double Ginger and Chocolate Cookies. Serious injury was ruled out because she saw him at the gym. He smiled and waved, so it wasn’t amnesia. The men in Montreal tend to be short, and this guy is 6’2”. My theory is he knows all the women in the city are fighting over him and the other four tall guys, so he doesn’t want to commit. At least there were cookies. I’ll be honest, these were a little too gingery for me. Next time I think I’ll just use the ground ginger. I also think they could use some chocolate chips. The recipe isn’t perfect, but I think with a few more tweaks it could be really good. 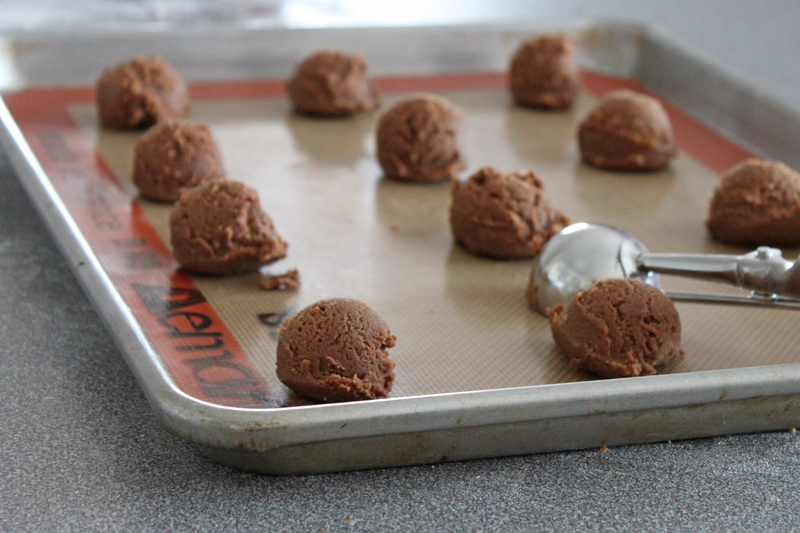 In a bowl, mix together the flour, cocoa, baking soda, salt, ground ginger, ground cinnamon. In a separate bowl, cream the butter and sugar together until light and fluffy. Mix in the molasses, egg and fresh ginger until well combined. 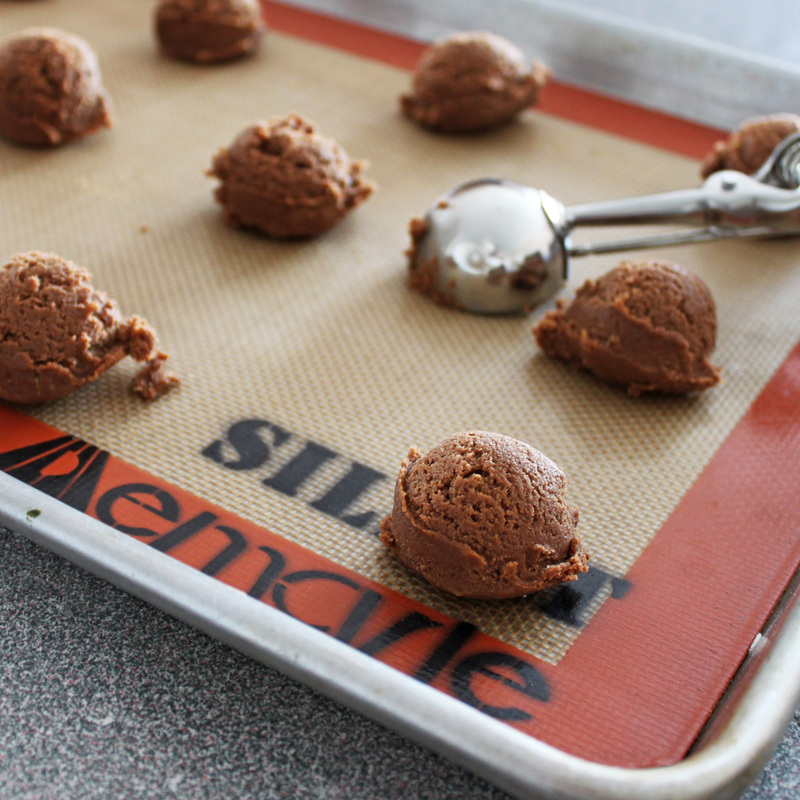 Using a tablespoon or small ice cream scoop, drop dough onto a cookie sheet about two inches apart. Each year, mental helath I am currently living outside the United States into a socialist state. I could not ask for a medical treatment to more than 2 million, including the requirement room care, residential care and rehabilitation. He is paid at the bottom of my taxes, and it cost me less than a political cost me $ 100,000 U.S.. It also covers spouses and children, at no additional cost. Inactive I have the opportunity to sign a contract for private medical treatment signs or pay in advance only clique behavior, even when I’m in a socialist country. I’m better off under this plan, I would be under McCain, if I do not support Obama.Cependant Obama because I speak to the comfort of his optimistic plan, but because others need them. Medical costs are one of the biggest causes of personal bankruptcy in the United States. And in the 21 Century U.S., it is not acceptable. If the base class and you get sick and can not work, you can choose Nary just have to file for bankruptcy.Obama would raise the threshold for the declaration, McCain would not lower, which means that many more Americans would be forced to declare bankruptcy under McCain, as they could not afford to pay their medical bills. I know it will cost me more taxes, I think it is worth and articles thereof peine.Les children whose families along the wall because of medical bills are spurred a lot more with crime or drugs, or both do. Every dollar spent in order to save American families is the medical bankruptcy one dollar, the request not the company, spent Picking Up the Pieces, either by the courts, prisons and social services. Well, women talk about men, men talk about tools. Right? The cookies sound good, I’d probably use ground ginger because I would be too lazy to leave the house for fresh! Yum! I’ve been wanting to try baking ginger cookies, but always run out of ginger by the end of the week (we used lots of ginger for cooking). I love ginger so these sound great. They are going on the list for this weekend. I just got my first order from King Arthur Flour that had some black cocoa in it, and I might try some candied ginger in place of the fresh. I’ll bet had your girlfriend ended the first date by leaving the chap with a package of those cookies, there likely would have been more than a phone call! Ginger and chocolate sounds like a winner! Double ginger and chocolate and you have a winner!! So much better than men any day!! These cookies sound fantastic. I love the chocolate ginger combo. I’m starting a new linky on my blog this Saturday called “Sweets for a Saturday.” If you get a chance, I’d like to invite you to stop by and link this up. Men. I don’t get them either and I married one! And mine is 6’7″ so he’d surely stand out in Montreal. But as long as there are cookies in the world, men will be talked about over them. I love the idea of the ginger and chocolate together but I will keep your tweaks in mind! Back to the cookies…wow, they combine two of our favorite flavors…genius!!! Well, I find in most cases, that we’re just absent-minded. And we don’t get offered double-ginger cookies nearly enough. Perhaps she should send the dude some of those. You know the phrase ‘the way to a man’s heart …?’ Well, it’s true. We are, in fact, that simple. Too gingery would probably be just right for me, I like my stuff gingery! Chocolate chips sound like a good idea though, more chocolate is never a bad thing. The tweaked recipe sounds good. Adding chocolate makes them more tasty ! At least there were cookies! And girlfriends! Mmm…that is quite a gingery cookie. ;) Looks lovely though. Cookies make everything better. Looks delicious! Chocolate cookies are much better than the hassle of trying to understand men. Their absent-mindedness is often the case. Ahh good old men, they always provide some sort of coversation. Good thing these ginger chocolate cookies were on hand to provide some comfort! Great recipe!! My best friend Glen gave me the greatest advice on men ever. “Amy, men are pigs. Gay men are pigs with style.” Totally got me through my dating years. Cookies look killer! Thanks for pointing out the errors. I’ve added 1/4 to the ingredients list and change the procedure to add baking soda. Reading this made me realize I have never had a cookie combined with chocolate and ginger. How is that possible? I will definitely fix that soon by giving these a try. I just made these, using some chopped crystallized ginger instead of the raw ginger, and chocolate chips as suggested; good, but not stunning. Maybe even more chocolate? More spice? However, I am sure they will go over well at the event they’re aimed for. Certainly the combination of ginger and chocolate deserves investigation. Thanks.